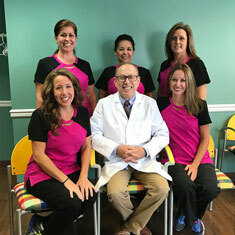 In the past, I have dealt with many dentists but none in comparison to Dr. Sternberg. His mannerism and expertise are “Right On”. He puts your mind at ease and gives explicit details to procedures and makes sure you understand before starting. Same goes for his staff. All questions are answered and you are never rushed out or feel you haven’t been heard. I have already recommended him to my friends because excellent dentists and their staffs are few and far between. I’m thankful to be a patient here. One of the things that we pride ourselves on is making sure you know exactly what, and why we do what we do. If you ever feel that you are unsure of what a dentist is doing, you must not be in our office.